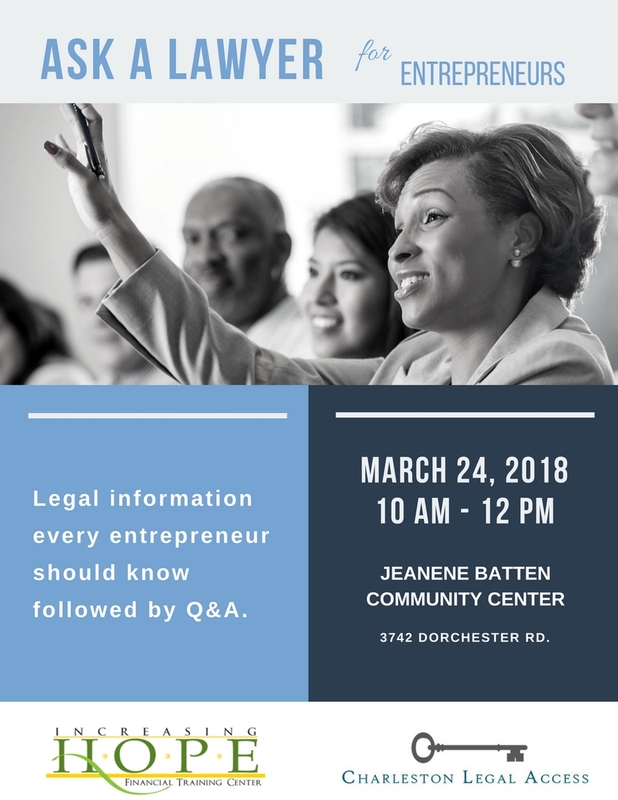 Navigating the legalities of entrepreneurship can be stressful and confusing. 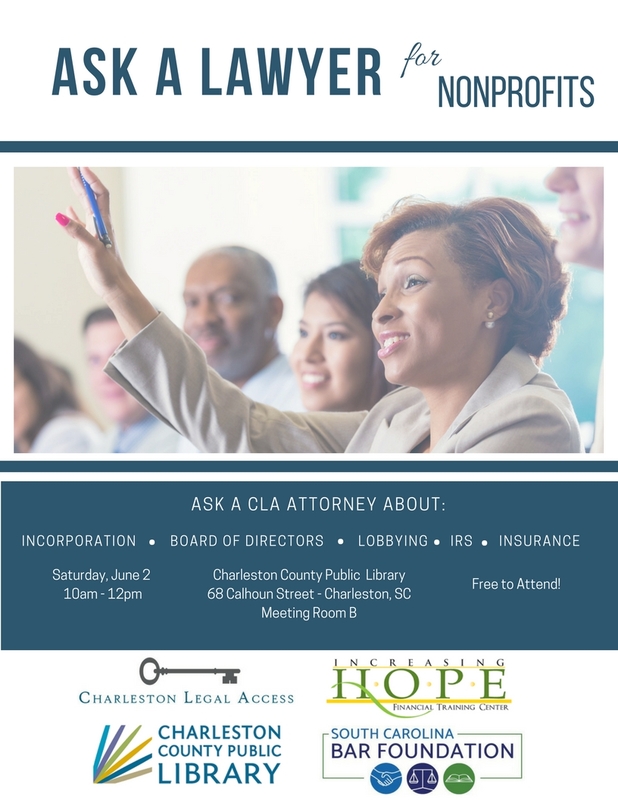 Join CLA's staff attorney and Increasing Hope for a 90 minute info session followed by Q&A. 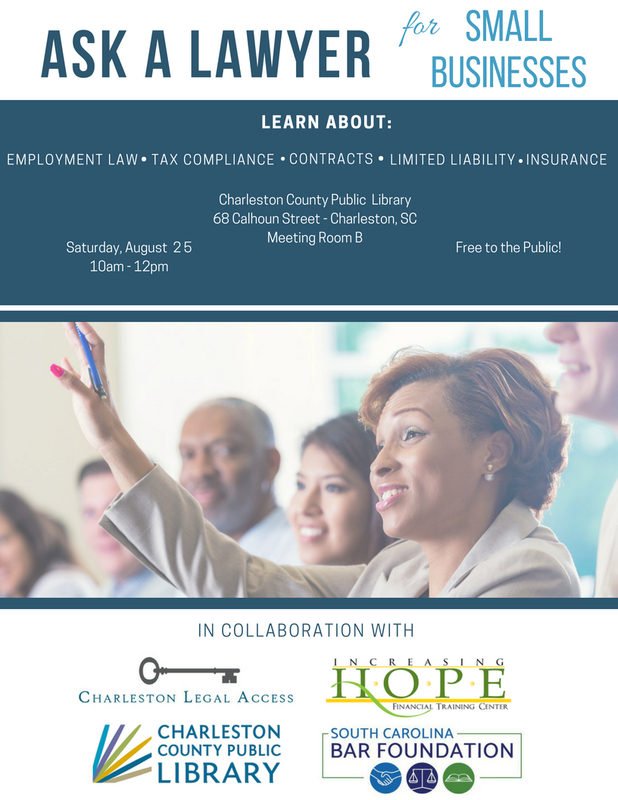 Topics of discussion will include: employment law basics, choice of entity, tax compliance and many more. 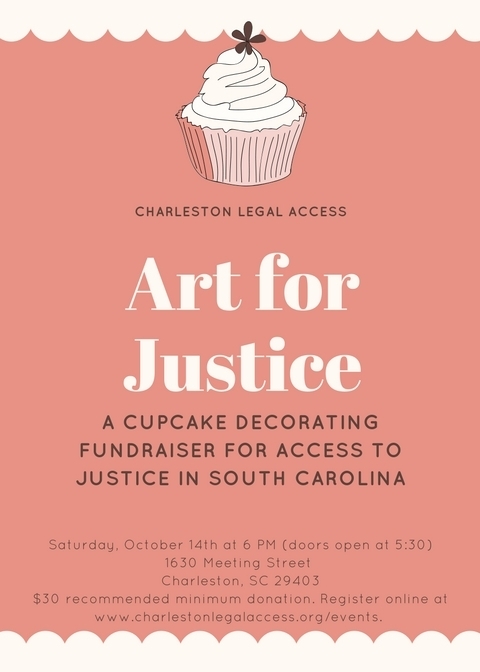 Charleston Legal Access invites you to Art for Justice on Saturday, October 14th at 6 PM. 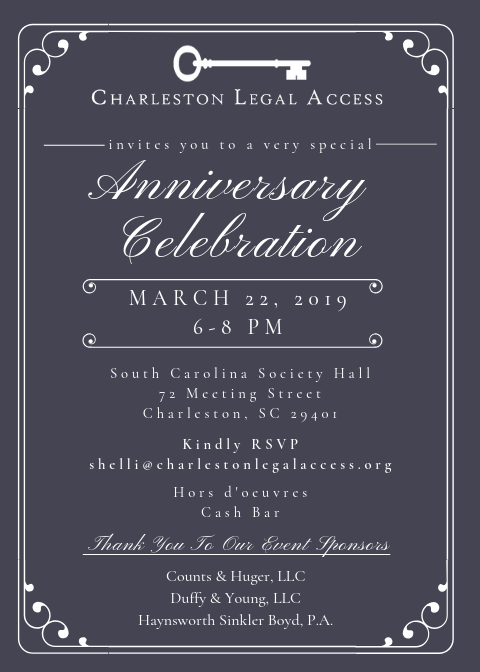 We will have Sandra Waller, who has over 20 years of experience in cake decorating, lead participants in a cupcake decorating class. 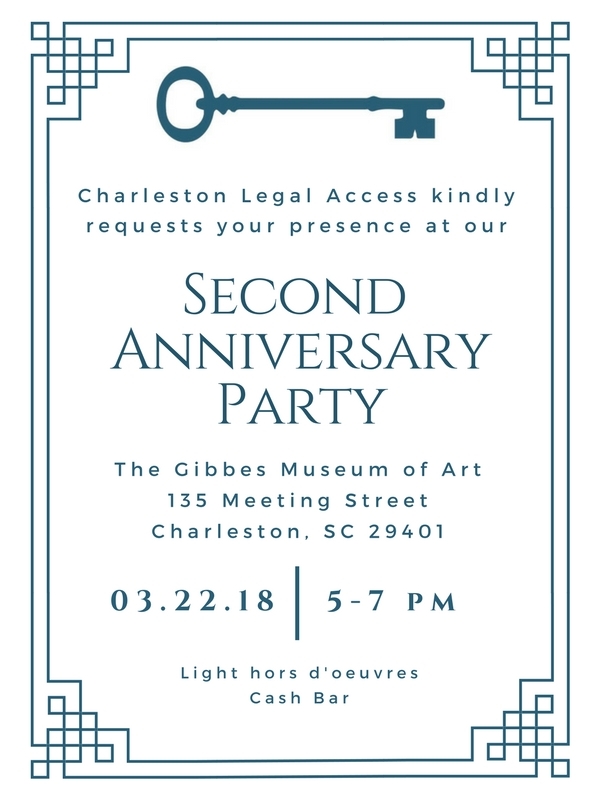 The event has a recommended minimum donation of $30, and all proceeds will go directly to Charleston Legal Access, Charleston's first nonprofit law firm representing modest means clients with sliding scale fees.